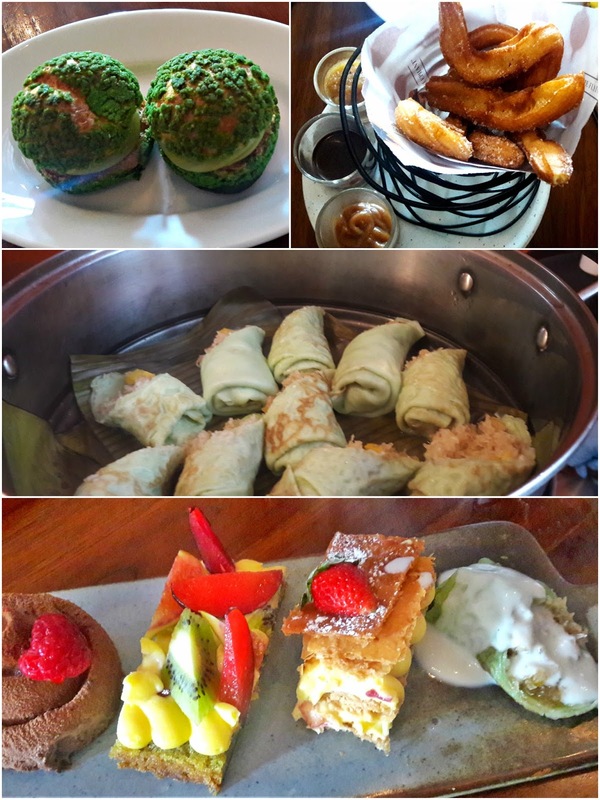 The humitas were deliciously cheesy, the timballo is a fantastic way of disguising eggplant while the turmeric chocolate fondant was more proof why the yellow spice is gaining in popularity all around the world! Yes, a chocolate and turmeric dessert! Miles of oceans separate Argentina, Italy and Indonesia. When the cuisines of these 3 continents meet at Park Hyatt Chennai's The Flying Elephant, who says food is not a great unifier? 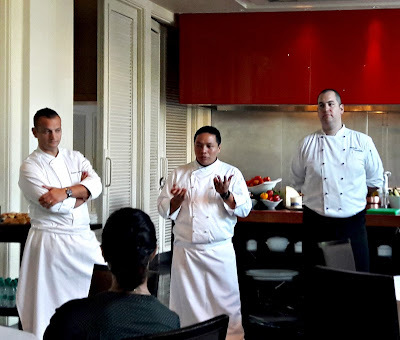 The ongoing Masters of Food and Wine series organised by the Park Hyatt hotels in India has Executive Chefs Franco Canzano, Park Hyatt from Goa, Michele Prevedello from Park Hyatt Hyderabad and Teuku Syafrulsyah of Park Hyatt Chennai as the Chefs On Tour who travel to these 3 cities on a rotational basis to host interactive culinary experiences. 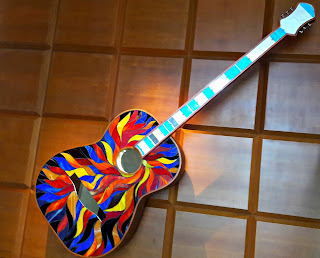 This included a wine dinner, the family-style brunch at TFE called Sunday Social and a cooking class. 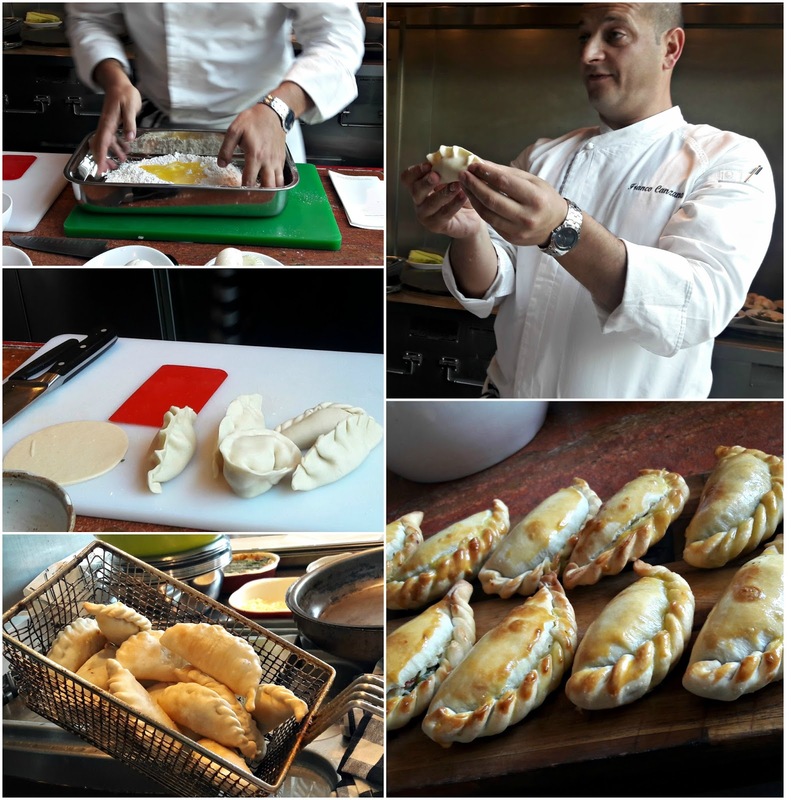 At the class, Chef Franco showed us how to make two Argentinian appetisers - steamed corn cakes or humitas and chicken empanadas. 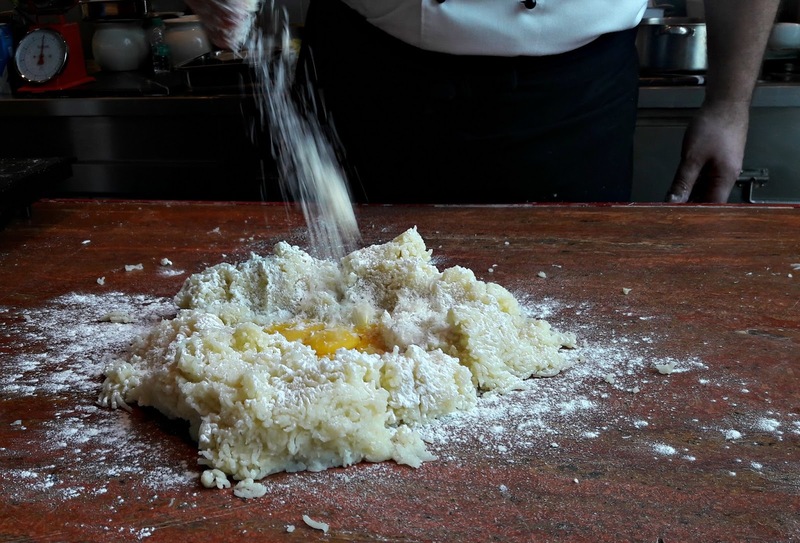 Humitas, with their filling of corn, peppers and pumpkin were a breeze to make; he portioned them out onto corn husks, tied them up and steamed them. Empanadas can be filled with different kinds of meats or even cheese. 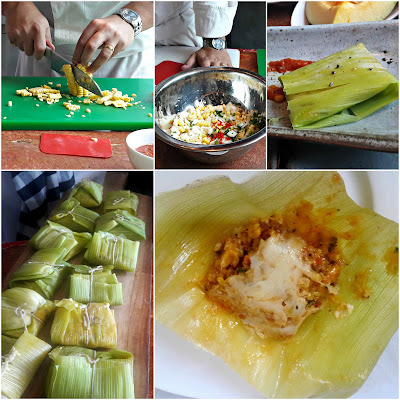 Depending on the filling, the folds differ; Chef Franco showed us three ways of folding them. Chef Michele's gnocchi, served in a chicken sauce, were pillowy soft. However, it was the vegetable timballo layered with fried strips of eggplant, zucchini, peppers and cheese, baked and served with a divine tomato pesto that had us queueing up for seconds. And thirds!! 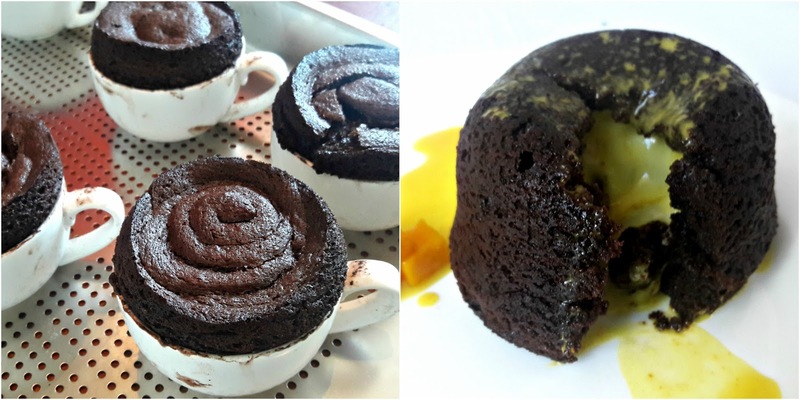 Chef Teuku showed us how to create a turmeric chocolate fondant with Asian fruit salad which had some of us wondering what the outcome would be. But when he cut into the soft chocolate cake that had been paired with a coconut turmeric sauce, all doubts were put at rest - the dessert was a riot of colours and flavours. We couldn't quite let go of the Chefs on Tour so soon, so on Sunday, went across for TFE's brunch, Sunday Social. Each of the chefs had his own station. The Argentinian counter, in true gaucho style, had lots of meat - pork ribs, chicken, beef, lamb chops, fish fillets and prawns and some vegetables. Chef Franco threw one of everything onto his grill and and served them with criolla, chimichurri and provencal dips. My verdict - the prawns and fish with all 3 dips - muy bien! 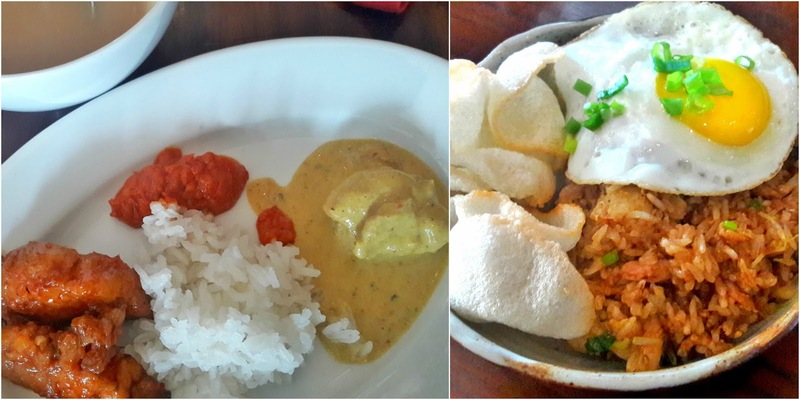 Chef Teuku's Indonesian stall had things you wouldn't normally see on a Chennai restaurant menu. Pretty little siu mai, steamed tofu in cabbage, stuffed tofu, incredibly moist roast duck - bebek betutu, nasi goreng and Indonesian chicken curry heady with the flavour of kaffir lime. And a selection of sambals that are perfect accompaniments. Chef Michele had baked a pan of about the best tasting lasagne I've had in the longest time. Vegetarian, but still the best. He also had roast pork belly with a bean stew. And as icing on the cake, squid ink risotto which had flavours literally popping out of the grains of rice... mamma mia!! As for desserts, you'll simply be spoilt for choice - the entire end of the restaurant just for desserts! The Flying Elephant's recipe for churros is a winner, the fried dough strips are served with a choice of apple cinnamon, chocolate and salted caramel sauces. The chef's special that day was dadar gulung - a green pancake that held together a filling of jackfruit and coconut cooked in pandan flavoured jaggery. Simply sedap! 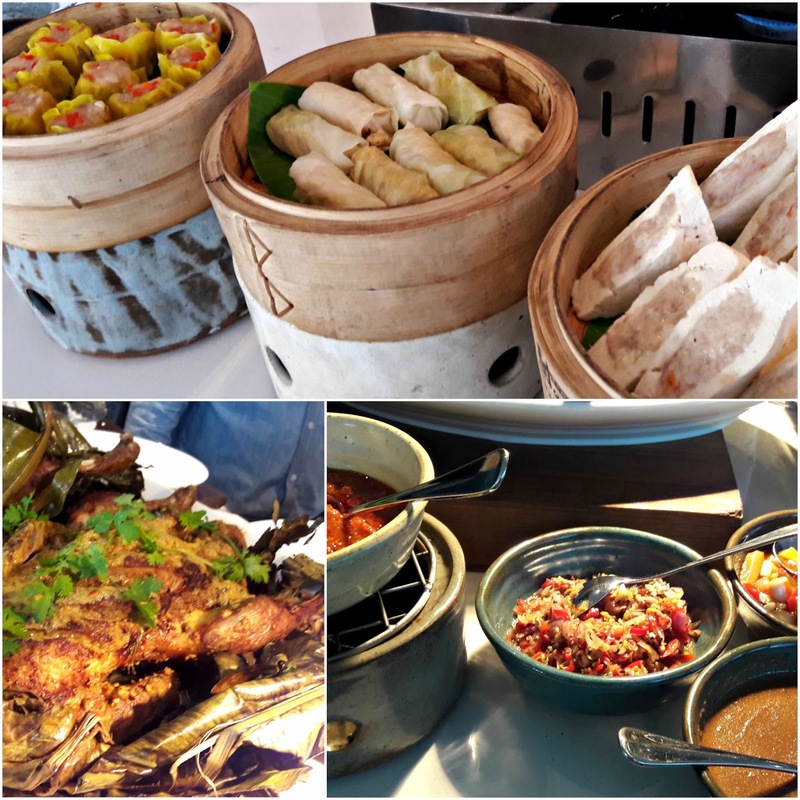 The Chefs have toured Goa and Chennai, they will be at Park Hyatt Hyderabad for the conclusion of the series this weekend. However, Sunday Social is on every week at TFE and every Sunday is Family Day Out with live music and where the cost of the brunch includes the use of the pool. Kids get their own space as well. 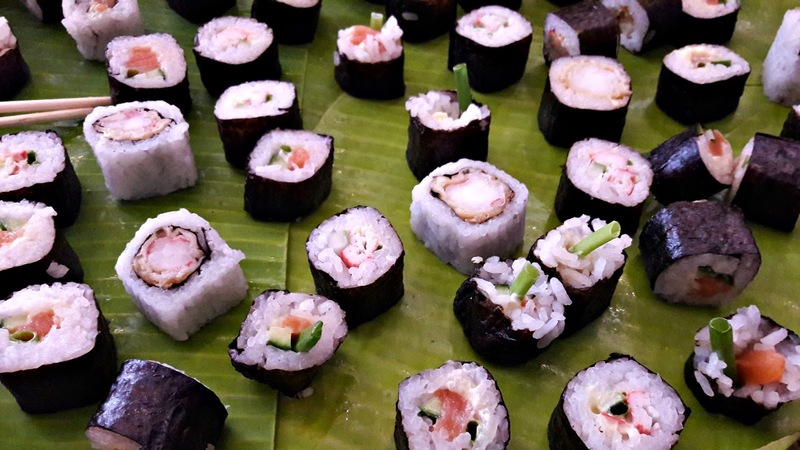 The cost of the buffet is 2295/++ (non alcoholic), 3295/++ (with alcohol) and 7295/++ (champagne brunch).